picture from an anthropologie review blog. instantly fell in love and knew i had to have it! fabric while i got the xs in a scoopneck. 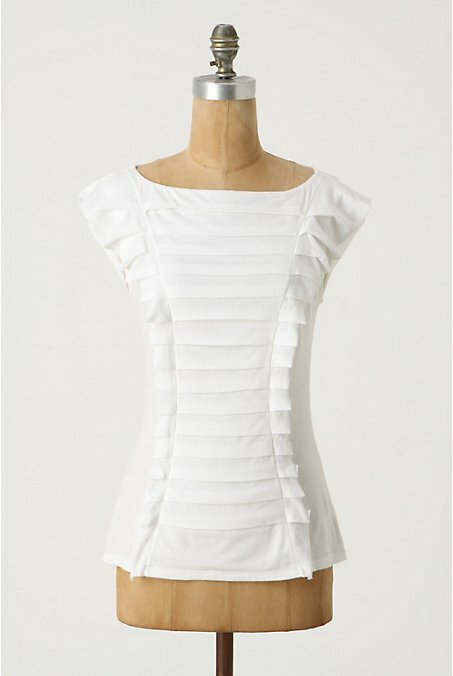 2. cut the arms and the neckline off so it's closest to a rectangle shape. 3. take one of the piece and begin making the pleates.